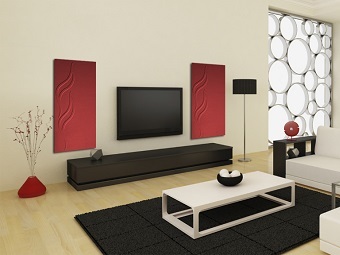 This is a new product which is used in interiors as a decorative and sound insulation board. With an NRC of 0.80 this also helps reduce echo and sound reverberation. It is available in solid multiple colors and can be pasted, nailed or screwed directly on walls and also used as a false ceilings panel. This product also has more than 70% recycled content and has no health hazards while being fire retardant. 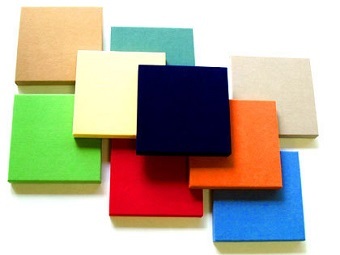 (refer presentation).Can be used instead of mineral fibre boards , gypsum tiles etc. 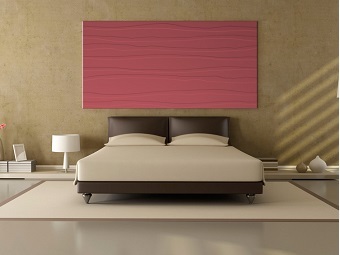 The Panels come in a size of 8 feet x 4 feet and are extremely easy to cut and install. 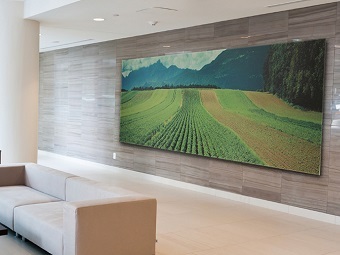 Create visually striking interiors with superior acoustic performance. Acoustics play a crucial role in our day-to-day life. Whether you are designing an open-plan workplace, a meeting room or for that matter a cinema hall, acoustical performance has to be carefully taken into consideration. Furthermore, the solutions available in the market leave a lot to be desired, in terms of acoustic performance, aesthetics and ease of installation. 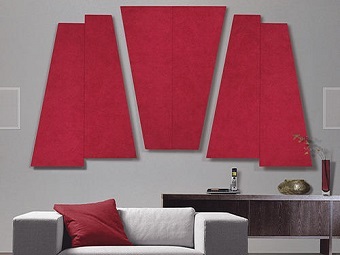 The Acoustic Panel is a high performance and durable sound absorptive product. 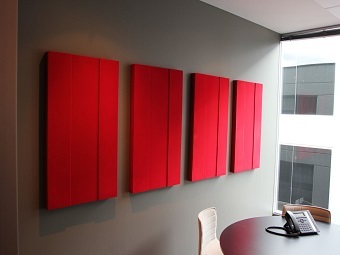 Installation of Acoustic Panel is very convenient and can be even completed by inexperienced labour. 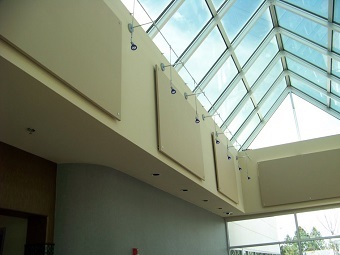 Acoustic Panel is lightweight and flexible along with excellent tension/compression stiffness. The tile maintains its dimensions in high humidity and temperature. The color of the tile maintained even in long term exposure to sunlight (over 4th grade in 240 hrs at 100°C). The surface of the tile is resistant to surface wetting (rate of resistance to surface wetting: 99.6%) therefore inhabitation of various germs and molds is inhibited. Furthermore, the panel can be easily cut into any desired shape.